This was actually the "big one," a 3-day convention, but I only attended on Saturday. What kind of freakin' Xenite am I?! Actually, I consider myself more of a fan of the guest stars, most notably the fellows. ;) But if you know me, you know that about me. LOL! 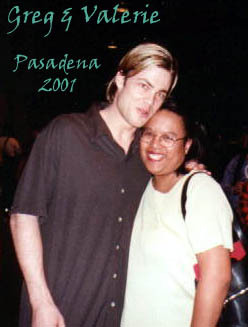 Pasadena Xena Con 2001 - from the Xenaversity site!